Considered some of the best smokes coming from the Dominican Republic, Ashton’s portfolio of top-quality premium cigars has always been a favorite of seasoned cigar enthusiasts that demand luxury. This Ashton Sampler contains 10 highly prized blends, many achieving heralded 90+ ratings in popular industry publications. An excellent gift for the collector in your life. Not what I expected from premium cigars. It tasted bland and weak. Sorry for poor opinion. I received two boxes of 10s Ashton Sampler a week ago. I smoked one each day for 7 days. So far, I don't like any . Sorry! Not what I expected. 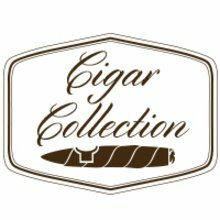 All cigars I smoked, I was disappointed. No flavors. When I saw this beautiful sampler, I had to get it. I know I'll find a few sticks I love.